New Delhi : Describing the Arvind Kejriwal government in Delhi as "most corrupt", the BJP on Saturday demanded dismissal of its cabinet Minister Kailash Gahlot over the alleged tax evasion of Rs 120 crore. 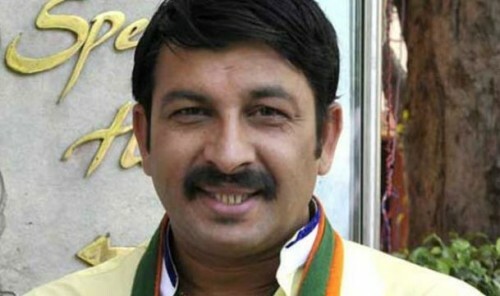 "Kejriwal government is the most corrupt government in the history of Delhi," Delhi Bharatiya Janata Party (BJP) President Manoj Tiwari said at a press conference here. He said the failure of Kejriwal to take action in the case of corruption by his ministers Gahlot, Satyendar Jain and former minister Asim Ahmad indicates his involvement in corruption and "proves that the Chief Minister completely lacks morality". "BJP demands that Kejriwal should immediately dismiss corrupt ministers, Gahlot and Jain," he said. Tiwari said, "It has been learnt that tax evasion of Rs 120 crore by Gahlot has come to light and in addition there was information of undeclared investment in shares in Dubai in addition to Benami property". His remarks came after the Income Tax department officials on Saturday claimed they have found documents that show the Delhi Minister had evaded tax worth Rs 120 crore. The I-T department has carried out searches at over 16 residential and business premises of Gahlot and his family members on Wednesday and Thursday. Gahlot holds the portfolios of transport, law, revenue, information technology and administrative reforms in the Delhi Cabinet. Tiwari said the network of Gahlot's "unaccounted trade" is too wide. "But at close examination, we get to understand that the modus operandi of tax evasion is similar to what we saw in Jain's case," he said. He said like in the matter of Jain, the names of office staff have been used for bungling, forgery in share transfer deals and bogus property wills. Citing the I-T and CBI cases against Jain, the BJP leader, who also represents the northeast Delhi parliamentary constituency, said, "It has become clear that he was involved in hawala trade, but Kejriwal has not taken any action against him."